This piece originally appeared at The Kaintuckeean and is presented here with permission. Some of the most ostentatious construction projects are proposed, but never get off the ground. Work may begin, but projects languish unfinished for a variety of reasons. In Newport, Kentucky, a 1997 proposal would have resulted in the construction of Kentucky's tallest building (taller structures, however, would still have existed). The proposed Millennium Freedom Tower 2000 was the brainchild of two northern Kentucky businessmen. The Freedom Tower would have been 1,083 feet tall and would have then been the world's 11th tallest building (if it had been built, the Freedom Tower in Newport would today be only the 57th tallest structure in the world). Some commentary on the Freedom Tower places the building's height in excess of 1,200 feet. The proposal would have resulted in the building's completion in time for the new millennium on December 31, 1999. Two thousand bells (corporate sponsored) would have helped to ring in the year 2000. A single bell that was the world's largest swinging bell from 2000 to 2006, the World Peace Bell, was a completed part of the project and that bell occupies part of the site in Newport where Freedom Tower was to be built. The Freedom Tower was projected to cost between $75-100 million. In 1996, the same developers proposed a less impressive 650-foot structure was proposed closer to the confluence of the Ohio and Licking rivers, but soil instability foiled that plan. Local business and government leaders of the day seemed to favor the second, larger proposal. Then Northern Kentucky Convention and Visitors Bureau president Mike Rozow remarked that "St. Louis has their Arch and New York has their Statue of Liberty. Maybe this will be Northern Kentucky's signature place. 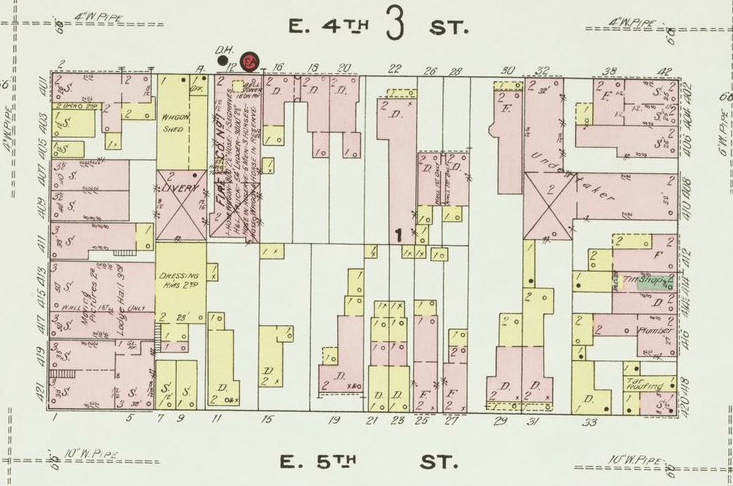 1910 Sanborn Map of the 2.33 acre block. UK Libraries. The proposal called for a seasonal ice rink underneath along with shops and a museum complex with thrill rides above (think: Disney's Tower of Terror). A restaurant/bar was proposed at 550-feet and it was envisioned that a television or radio company might locate its headquarters high above the community it covered. It could have been a "signature place" for northern Kentucky. Of course, the proposal required the razing of a block in central Newport (though some of the block had been previously demolished). A quick study shows that the most significant structure on the block, before the anticipated Freedom Tower project, was the Campbell Towers. 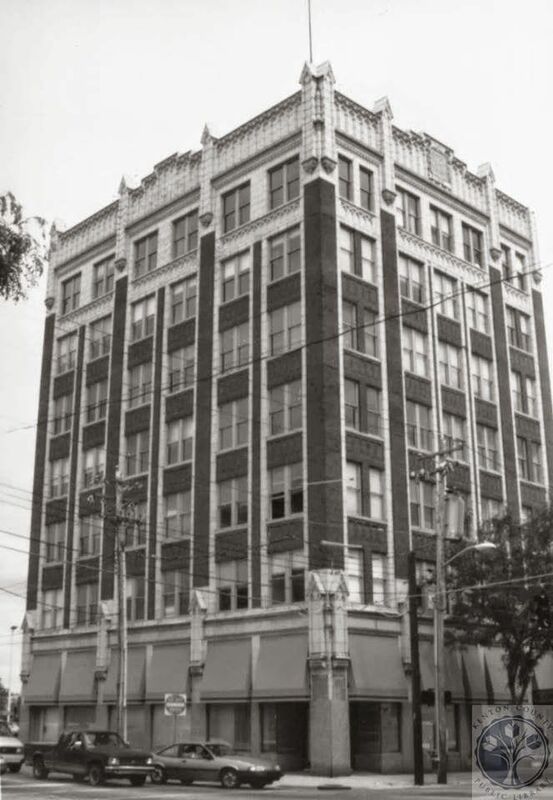 Campbell Towers was northern Kentucky's first skyscraper, built in 1927. The 7-story structure was originally called the Newport Finance Building and it was adorned inside and out with brass fittings, marble and terra cotta tiles even upon its implosion in 1999. Also demolished to make way for the project (and the World Peace Bell) was the old headquarters for the Newport fire department which served the city from 1934-1997. I'm not sure exactly why the Freedom Tower was never constructed, though it seems to have run into a myriad of issues that thwarted its projected completion in time for the new millennia. If you know more about this project, please share in the comments below! As with many major infill projects, a community's historic fabric is lost. The impact of this loss is lessened when the resulting project brings new significance to a community along with economic vitality. Too often, proposed projects receive the green light for demolition despite being either viable or ready-to-go. These are the unBuilt projects that leave gaping holes in the communities in which they were to be built.